When it comes to recovering from addiction, camaraderie is an important treatment element. While some might not consider the social aspect as all that important to addiction recovery, and would probably hesitate to call it a treatment element, the fact is that group therapy and sober living provide a social support system that is essential to a successful recovery outcome. The pairing of outpatient substance abuse treatment with sober living housing is a perfect match where recovery is concerned. The active hours involved in the treatment program can arm clients with important new recovery tools, and returning to a sober living Rancho Mirage home that is drug and alcohol free can safeguard early sobriety during off-hours. When it comes to getting professional help for a substance use disorder there are many options to consider. A treatment program that might appeal to one individual may be completely wrong for another, so knowing about the different types of rehabs is important at the outset. For many people, considerations revolving around practical issues like cost and flexibility make the outpatient rehab an attractive option. Most outpatient treatment programs put their own identity stamp on their individual programs, offering a specific mission, theme, or focus that sets them apart. Adding the sober living component can yield higher recovery success rates. This is because sober living provides the crucial social element while also offering a safe, drug and alcohol-free living space. The social aspect is important because in many cases getting sober means having to shed old friends and choose a new social network in sobriety. Without access to peers during early recovery, loneliness could cause someone to reconnect with the partying friends they should be avoiding, and that could result in relapse. Also, during active addiction, many lose their sense of responsibility and may develop unhealthy sleep schedules and eating habits. Sober living requires the clients to abide by a list of stated rules and responsibilities, including the requirement that the client be up by a certain time in the morning, and to recognize house curfews in the evening. Over time, the client ion sober living establishes healthy habits and regains their sense of responsibility. When combining outpatient rehab with sober living housing the client experiences a more comprehensive support system throughout their day. After receiving treatment at the outpatient facility, the client returns home to a safe and supportive home environment. The zero tolerance policy coupled with intermittent drug and alcohol testing creates a powerful deterrent to avoid slipping up. The client will be learning assorted recovery skills in treatment that can be reinforced and practiced while living in sober living. This provides a transitional housing option that allows the client to get stronger emotionally, physically, and spiritually before heading back to there regular life where they will be better equipped to handle the various triggers and stressors. Addiction Therapeutic Services (ATS) is a highly respected outpatient addiction treatment program in Rancho Mirage, California. 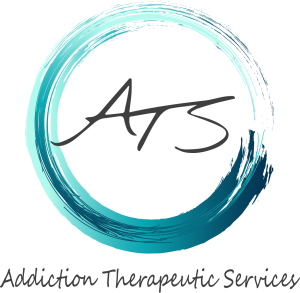 ATS partners with local sober living homes in the Rancho Mirage area that are accessible to their outpatient program, providing the added layer of support in early recovery. ATS offers an impressive weekly schedule of group meetings that provide mentorship and instruction, balanced between traditional therapy and experiential and holistic activities. For more information about the program, please contact ATS today at (760) 439-7007.